A ring shaped pendant, embellished with little blossoms. 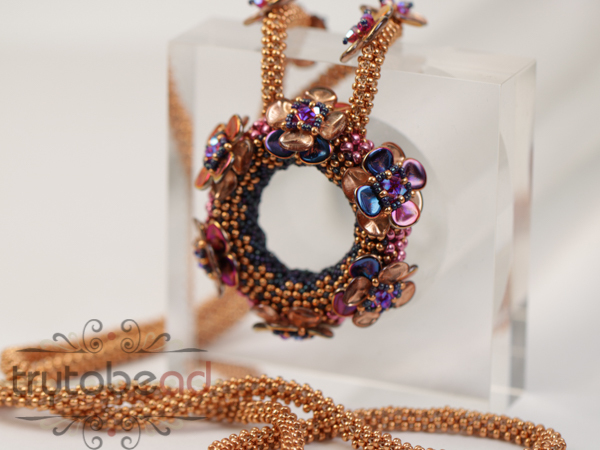 The pendant is made in Chenille stitch. The chain part is made in CRAW, basic knowledge in CRAW is required. The pattern includes 16 pages with many drawings and illustrations. 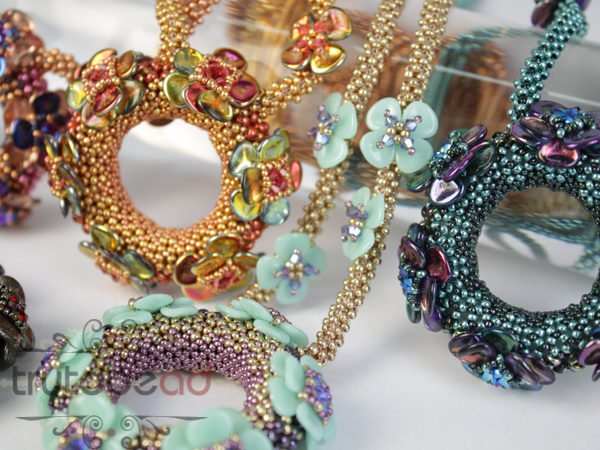 Beading level 2 - 3, basic knowledge in CRAW required. The matching kits for the pattern include all the beads for one necklace and pendant. 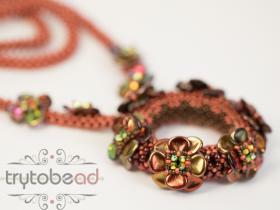 The necklace is about 85cm maximum.